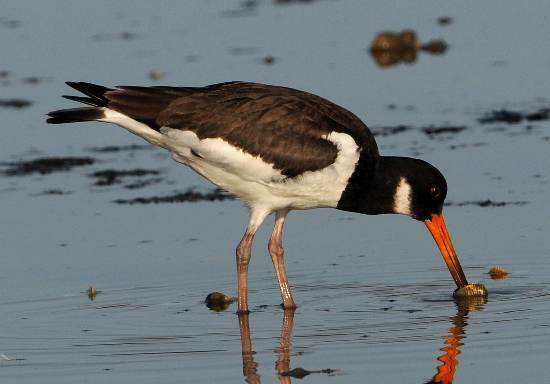 The Eurasian Oystercatcher is a wading bird of estuaries and coasts. It is the only member of the Haematopus genus found in Britain and Ireland. The large size (typically 43cm) of these waders together with their black-and-white plumage and long orange-red bills and pinkish legs make them very easy to recognise, even from a distance. 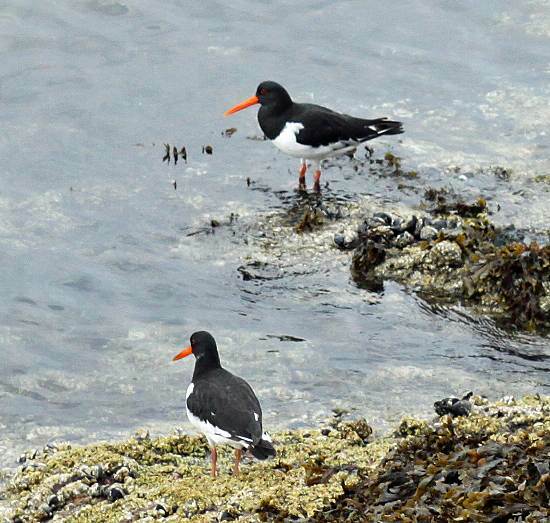 Oystercatchers are resident in Britain and Ireland, and in winter their numbers are augmented by an influx from mainland Europe.